How Does Google Maps Decide To Show Labels (Points of Interest)? Home > Google News > Misc Google > How Does Google Maps Decide To Show Labels (Points of Interest)? Yesterday I reported Google is testing "sponsored map icons" in the US. 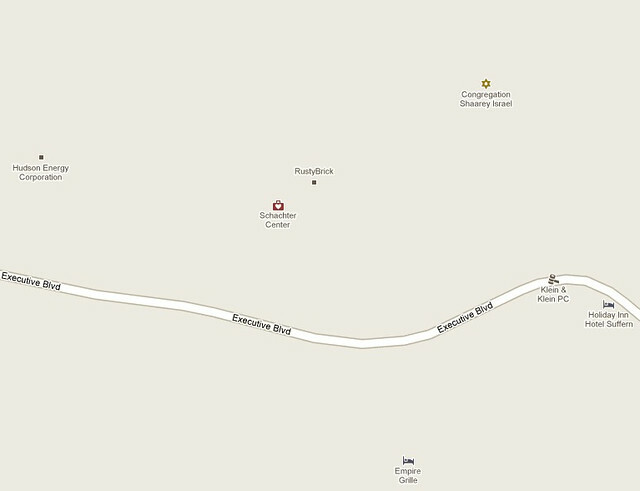 They are basically enhanced point of interest icons using the company's logo, instead of the basic POI (point of interest) icon Google uses on the map views. Here you can see some POI icons, also known as "labels." They include a doctor icon, a bed and breakfast icon, a synagogue icon, a lawyer office icon and them some generic squares. Clearly, when you define your business category in Google Places, Google knows which icon to show for your business. But why are only these businesses showing? There are literally dozens of businesses near mine, which is RustyBrick. I work in an office building, so why is RustyBrick shown and not the 100 or so other businesses here? The place labels shown on Google Maps are determined algorithmically based on a large number of factors, so there is no way to guarantee placement of your business on the map as a place label. One factor these algorithms consider is the accuracy of the business listing and the richness of the content associated with the listing, so you can improve the chances that your business will receive a place label if you claim it in Google Places. He explained it is more like a web search relevancy algorithm than anything else.